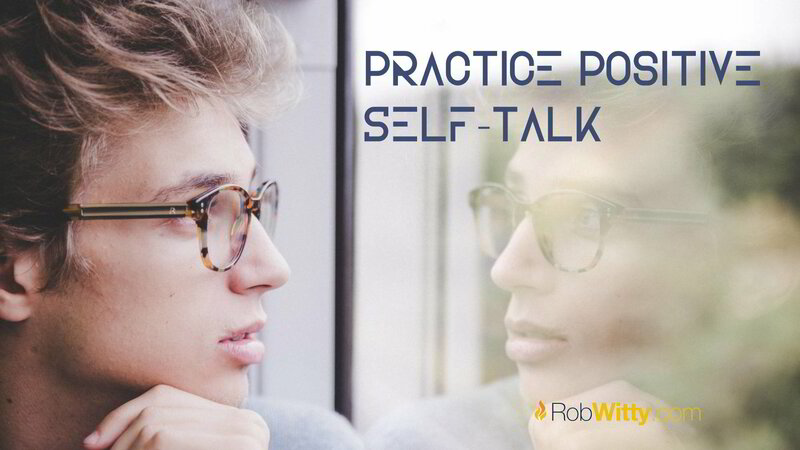 Do You Practice Positive Self-Talk? The self talk or messages that you tell yourself will either encourage and motivate you to reach your goals, or they will limit your potential if they are negative. The things that you tell yourself are an essential aspect of achieving success. It is imperative because these messages will determine whether you'll keep moving forward or if you'll quit. Here are practical tips to help you provide yourself with the positive self-talk you need to find success. Everybody, from time to time, can have an off day and be negative. However, some people tend to surround themselves with negative thoughts and emotions. If you have someone like this in your life, they just seem to 'drain your batteries', you may want to consider distancing yourself from them. The attitudes of those around you will have an impact on your perspective. The more you hang around negative people, the more negative you will become. One of the best ways to find the positive in your life and create positive self-talk is through gratitude. Recognizing the things in your life that you are grateful for will help to improve your attitude. Having a more positive attitude and engaging in positive self-talk will help you have a better, more positive outlook on life and help you on your path to success. When you compare yourself to others and focus on what you lack compared to what others have, your self-talk can quickly become negative. When you are playing the comparison game, it can be easy to get down on yourself and grow negative about your life. There will always be people that are better and worse off than you, but you need to concentrate on everything you do have and be grateful for the things in your life. Live your life and stop comparing yourself to others. You have to believe in your innate ability to succeed in what you set out to do. Believe in the skills and abilities that you have, and that will help propel you toward success. Doubting your ability will hold you back from trying and ultimately from succeeding. Believe that you will find success, even if it takes more than one try. You are in control of your life, and you have a choice as to how you want to change it. Choosing to act on these four tips will help you practice positive self-talk and put you on the path for success.